Aerie Pharmaceuticals Inc (NASDAQ: AERI) gained 32.7 percent to $53.75 as the company reported positive Roclatan Phase 3 efficacy results on Wednesday. Sears Holdings Corp (NASDAQ: SHLD) rose 16.5 percent to $8.70 in pre-market trading after the company posted a narrower-than-expected Q1 loss. Guess?, Inc. (NYSE: GES) rose 13.7 percent to $11.35 in pre-market trading after the company posted a narrower-than-expected loss for its first quarter. MagneGas Corporation (NASDAQ: MNGA) rose 13.6 percent to $2.50 in pre-market trading after surging 17.65 percent on Wednesday. Pure Storage Inc (NYSE: PSTG) rose 12.8 percent to $12.19 in pre-market trading after the company posted upbeat quarterly results. Global Sources Ltd. (Bermuda) (NASDAQ: GSOL) shares rose 12.3 percent to $20.05 in pre-market trading as the company disclosed that it has entered into amendment to amalgamation agreement to increase amalgamation consideration from US$18.00 per share to US$20.00 per share. 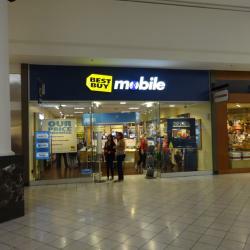 Best Buy Co Inc (NYSE: BBY) shares rose 10.6 percent to $55.76 in the pre-market trading session after the company reported better-than-expected results for its first quarter. Williams-Sonoma, Inc. (NYSE: WSM) shares rose 9.5 percent to $54.30 in pre-market trading after the company reported upbeat earnings for its first quarter. Helios and Matheson Analytics Inc (NASDAQ: HMNY) shares rose 9 percent to $3.18 in pre-market trading after dropping 23.36 percent on Wednesday. 58.com Inc (ADR) (NYSE: WUBA) rose 6.8 percent to $47.00 in pre-market trading. 58.com reported Q1 adjusted loss of $0.02 per ADS on sales of $288.2 million. PVH Corp (NYSE: PVH) shares rose 5.8 percent to $108.00 in pre-market trading after the company reported upbeat earnings for its first quarter and issued a strong forecast for the second quarter. Puma Biotechnology Inc (NASDAQ: PBYI) rose 5.2 percent to $78.80 in pre-market trading after surging 29.67 percent on Wednesday. Cowen & Co. upgraded Puma Biotechnology from Market Perform to Outperform. HP Inc (NYSE: HPQ) rose 4 percent to $19.77 in pre-market trading after the company reported stronger-than-expected earnings for its second quarter. Costamare Inc (NYSE: OZRK) fell 11.1 percent to $6.90 in pre-market trading. Costamare reported an offering of 12.5 million shares of common stock. Corium International Inc (NASDAQ: CORI) fell 9.1 percent to $6.25 in pre-market trading. Corium reported an offering of common stock. Bob Evans Farms Inc (NASDAQ: BOBE) fell 6.2 percent to $70.36 in pre-market trading after rising 3.81 percent on Wednesday. AMEC Foster Wheeler plc (NYSE: AMFW) shares fell 5.4 percent to $6.45 in pre-market trading after declining 2.01 percent on Wednesday. Partner Communications Company Ltd (ADR) (NASDAQ: PTNR) shares fell 5 percent to $5.18 in the pre-market trading session after gaining 2.06 percent on Wednesday. AU Optronics Corp (ADR) (NYSE: AUO) fell 4.9 percent to $3.69 in pre-market trading after slipping 0.26 percent on Wednesday. Allegiant Travel Company (NASDAQ: ALGT) fell 4.9 percent to $137.20 in pre-market trading after rising 0.59 percent on Wednesday. Gold Fields Limited (ADR) (NYSE: GFI) fell 4.6 percent to $3.70 in pre-market trading after rising 2.11 percent on Wednesday. Bank Of The Ozarks Inc (NASDAQ: OZRK) fell 4.1 percent to $45.10 in pre-market trading. Bank of the Ozarks priced its 6.6 million share offering for gross proceeds of $302.3 million. Regeneron Pharmaceuticals Inc (NASDAQ: REGN) shares fell 4 percent to $440.04 in pre-market trading after the company reported Phase 2 data for ANGPTL3/evinacumab. Dollar Tree, Inc. (NASDAQ: DLTR) fell around 2.7 percent to $76.00 in pre-market trading. Dollar Tree posted in-line Q1 earnings, but issued a weak forecast. NetApp Inc. (NASDAQ: NTAP) fell 2.3 percent to $38.65 in pre-market trading. NetApp reported better-than-expected results for its fourth quarter, but issued a weak earnings outlook for the current quarter.